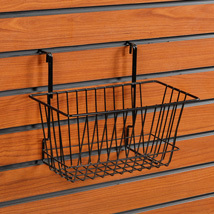 These wire baskets are perfect for displaying a wide variety of merchandise! 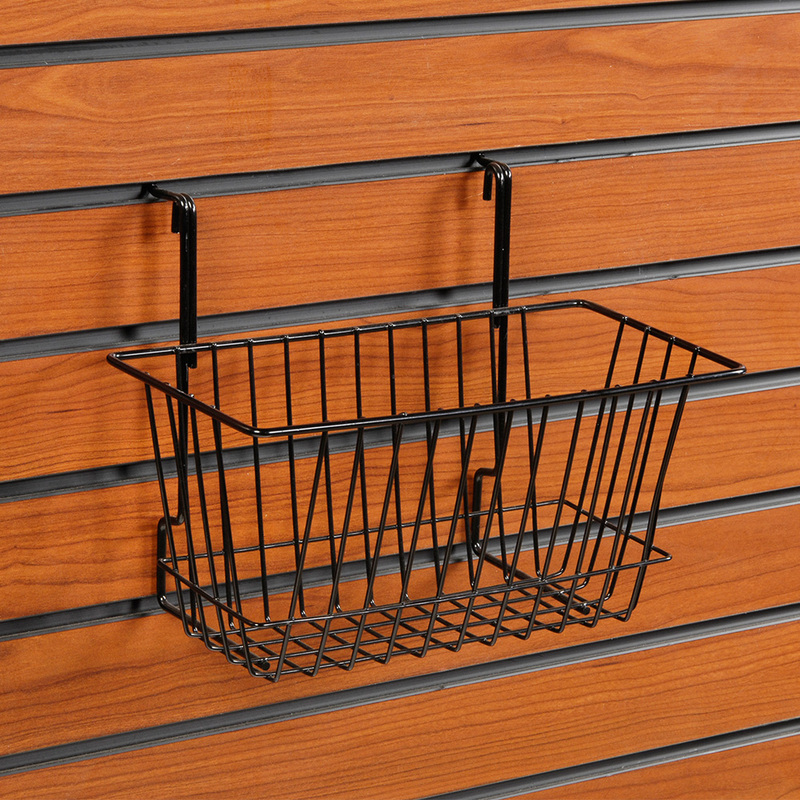 Perfect for displaying a host of items, these Wire Baskets are slatwall accessories built to last. They are flexible enough to work on all slatwall, slatgrid and pegboard. These Wire Baskets are powder-coated over steel, so they are both strong and attractive. Available in black and white, so be sure to specify the color that will match your store the best.